MASH AND SEY Ending Activities | VKH Press – J-Rock & Visual Kei Coverage Worldwide! MASH AND SEY announced some very sad news today. 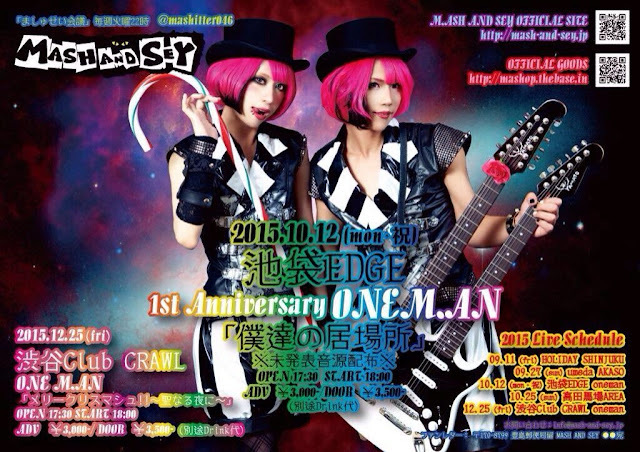 The band has decided to end their activities after their one-man performance on December 25th at Shibuya Club CRAWL. They are very sorry and thank all of their fans for their support. Nevertheless, please visit and enjoy their remaining lives!